Talk Nerdy To Me: Look out Gargamel! If you know me you know I like to bust out some crazy moves. 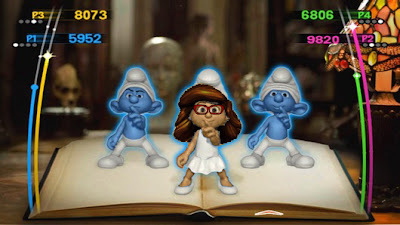 Hence, I cannot WAIT for Wii Smurf Dance Party! A kind Twitter follower photoshopped this gem in the place of Smurfette and I just had to share!